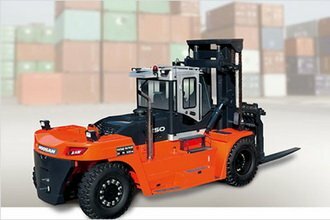 2212101 G10S Daewoo G10S forklift with LPG engine Spare parts catalog. Service (workshop) Manual. Electrical and Hydraulic Schematic. Operation and maintenance manual. 2212102 G15G Daewoo G15G forklift with LPG engine Spare parts catalog. Service (workshop) Manual. Electrical and Hydraulic Schematic. Operation and maintenance manual. 2212103 G15S Daewoo G15S forklift with LPG engine Spare parts catalog. Service (workshop) Manual. Electrical and Hydraulic Schematic. Operation and maintenance manual. 2212104 G15S-2 Daewoo G15S-2 forklift with LPG engine Spare parts catalog. Service (workshop) Manual. Electrical and Hydraulic Schematic. Operation and maintenance manual. 2212105 G15S-5 Daewoo G15S-5 forklift with LPG engine Spare parts catalog. Service (workshop) Manual. Electrical and Hydraulic Schematic. Operation and maintenance manual. 2212106 G18G Daewoo G18G forklift with LPG engine Spare parts catalog. Service (workshop) Manual. Electrical and Hydraulic Schematic. Operation and maintenance manual. 2212107 G18S Daewoo G18S forklift with LPG engine Spare parts catalog. Service (workshop) Manual. Electrical and Hydraulic Schematic. Operation and maintenance manual. 2212108 G18S-2 Daewoo G18S-2 forklift with LPG engine Spare parts catalog. Service (workshop) Manual. Electrical and Hydraulic Schematic. Operation and maintenance manual. 2212109 G18S-5 Daewoo G18S-5 forklift with LPG engine Spare parts catalog. Service (workshop) Manual. Electrical and Hydraulic Schematic. Operation and maintenance manual. 2212110 GC15 Daewoo GC15 forklift with LPG engine Spare parts catalog. Service (workshop) Manual. Electrical and Hydraulic Schematic. Operation and maintenance manual. 2212111 GC15S-2 Daewoo GC15S-2 forklift with LPG engine Spare parts catalog. Service (workshop) Manual. Electrical and Hydraulic Schematic. Operation and maintenance manual. 2212112 GC15S-5 Daewoo GC15S-5 forklift with LPG engine Spare parts catalog. Service (workshop) Manual. Electrical and Hydraulic Schematic. Operation and maintenance manual. 2212113 GC15SC-2 Daewoo GC15SC-2 forklift with LPG engine Spare parts catalog. Service (workshop) Manual. Electrical and Hydraulic Schematic. Operation and maintenance manual. 2212114 GC18 Daewoo GC18 forklift with LPG engine Spare parts catalog. Service (workshop) Manual. Electrical and Hydraulic Schematic. Operation and maintenance manual. 2212115 GC18C Daewoo GC18C forklift with LPG engine Spare parts catalog. Service (workshop) Manual. Electrical and Hydraulic Schematic. Operation and maintenance manual. 2212116 GC18S Daewoo GC18S forklift with LPG engine Spare parts catalog. Service (workshop) Manual. Electrical and Hydraulic Schematic. Operation and maintenance manual. 2212117 GC18S-2 Daewoo GC18S-2 forklift with LPG engine Spare parts catalog. Service (workshop) Manual. Electrical and Hydraulic Schematic. Operation and maintenance manual. 2212118 GC18S-5 Daewoo GC18S-5 forklift with LPG engine Spare parts catalog. Service (workshop) Manual. Electrical and Hydraulic Schematic. Operation and maintenance manual. 2212119 GC18SC-2 Daewoo GC18SC-2 forklift with LPG engine Spare parts catalog. Service (workshop) Manual. Electrical and Hydraulic Schematic. Operation and maintenance manual. 2212201 G20-2 Daewoo G20-2 forklift with LPG engine Spare parts catalog. Service (workshop) Manual. Electrical and Hydraulic Schematic. Operation and maintenance manual. 2212202 G20E-3 Daewoo G20E-3 forklift with LPG engine Spare parts catalog. Service (workshop) Manual. Electrical and Hydraulic Schematic. Operation and maintenance manual. 2212203 G20E-5 Daewoo G20E-5 forklift with LPG engine Spare parts catalog. Service (workshop) Manual. Electrical and Hydraulic Schematic. Operation and maintenance manual. 2212204 G20G Daewoo G20G forklift with LPG engine Spare parts catalog. Service (workshop) Manual. Electrical and Hydraulic Schematic. Operation and maintenance manual. 2212205 G20P-3 Daewoo G20P-3 forklift with LPG engine Spare parts catalog. Service (workshop) Manual. Electrical and Hydraulic Schematic. Operation and maintenance manual. 2212206 G20P-5 Daewoo G20P-5 forklift with LPG engine Spare parts catalog. Service (workshop) Manual. Electrical and Hydraulic Schematic. Operation and maintenance manual. 2212207 G20S-2 Daewoo G20S-2 forklift with LPG engine Spare parts catalog. Service (workshop) Manual. Electrical and Hydraulic Schematic. Operation and maintenance manual. 2212208 G20S-3 Daewoo G20S-3 forklift with LPG engine Spare parts catalog. Service (workshop) Manual. Electrical and Hydraulic Schematic. Operation and maintenance manual. 2212209 G20SC-2 Daewoo G20SC-2 forklift with LPG engine Spare parts catalog. Service (workshop) Manual. Electrical and Hydraulic Schematic. Operation and maintenance manual. 2212210 G20SC-5 Daewoo G20SC-5 forklift with LPG engine Spare parts catalog. Service (workshop) Manual. Electrical and Hydraulic Schematic. Operation and maintenance manual. 2212211 G25-2 Daewoo G25-2 forklift with LPG engine Spare parts catalog. Service (workshop) Manual. Electrical and Hydraulic Schematic. Operation and maintenance manual. 2212212 G25E-3 Daewoo G25E-3 forklift with LPG engine Spare parts catalog. Service (workshop) Manual. Electrical and Hydraulic Schematic. Operation and maintenance manual. 2212213 G25E-5 Daewoo G25E-5 forklift with LPG engine Spare parts catalog. Service (workshop) Manual. Electrical and Hydraulic Schematic. Operation and maintenance manual. 2212214 G25G Daewoo G25G forklift with LPG engine Spare parts catalog. Service (workshop) Manual. Electrical and Hydraulic Schematic. Operation and maintenance manual. 2212215 G25P-3 Daewoo G25P-3 forklift with LPG engine Spare parts catalog. Service (workshop) Manual. Electrical and Hydraulic Schematic. Operation and maintenance manual. 2212216 G25P-5 Daewoo G25P-5 forklift with LPG engine Spare parts catalog. Service (workshop) Manual. Electrical and Hydraulic Schematic. Operation and maintenance manual. 2212217 G25S-2 Daewoo G25S-2 forklift with LPG engine Spare parts catalog. Service (workshop) Manual. Electrical and Hydraulic Schematic. Operation and maintenance manual. 2212218 G25S-3 Daewoo G25S-3 forklift with LPG engine Spare parts catalog. Service (workshop) Manual. Electrical and Hydraulic Schematic. Operation and maintenance manual. 2212219 G30E-3 Daewoo G30E-3 forklift with LPG engine Spare parts catalog. Service (workshop) Manual. Electrical and Hydraulic Schematic. Operation and maintenance manual. 2212220 G30E-5 Daewoo G30E-5 forklift with LPG engine Spare parts catalog. Service (workshop) Manual. Electrical and Hydraulic Schematic. Operation and maintenance manual. 2212221 G30G Daewoo G30G forklift with LPG engine Spare parts catalog. Service (workshop) Manual. Electrical and Hydraulic Schematic. Operation and maintenance manual. 2212222 G30P-3 Daewoo G30P-3 forklift with LPG engine Spare parts catalog. Service (workshop) Manual. Electrical and Hydraulic Schematic. Operation and maintenance manual. 2212223 G30P-5 Daewoo G30P-5 forklift with LPG engine Spare parts catalog. Service (workshop) Manual. Electrical and Hydraulic Schematic. Operation and maintenance manual. 2212224 G30S-2 Daewoo G30S-2 forklift with LPG engine Spare parts catalog. Service (workshop) Manual. Electrical and Hydraulic Schematic. Operation and maintenance manual. 2212225 G30S-3 Daewoo G30S-3 forklift with LPG engine Spare parts catalog. Service (workshop) Manual. Electrical and Hydraulic Schematic. Operation and maintenance manual. 2212226 G32E-3 Daewoo G32E-3 forklift with LPG engine Spare parts catalog. Service (workshop) Manual. Electrical and Hydraulic Schematic. Operation and maintenance manual. 2212227 G32P-3 Daewoo G32P-3 forklift with LPG engine Spare parts catalog. Service (workshop) Manual. Electrical and Hydraulic Schematic. Operation and maintenance manual. 2212228 G33P-3 Daewoo G33P-3 forklift with LPG engine Spare parts catalog. Service (workshop) Manual. Electrical and Hydraulic Schematic. Operation and maintenance manual. 2212229 G33P-5 Daewoo G33P-5 forklift with LPG engine Spare parts catalog. Service (workshop) Manual. Electrical and Hydraulic Schematic. Operation and maintenance manual. 2212230 G35C-5 Daewoo G35C-5 forklift with LPG engine Spare parts catalog. Service (workshop) Manual. Electrical and Hydraulic Schematic. Operation and maintenance manual. 2212231 GC20-2 Daewoo GC20-2 forklift with LPG engine Spare parts catalog. Service (workshop) Manual. Electrical and Hydraulic Schematic. Operation and maintenance manual. 2212232 GC20C Daewoo GC20C forklift with LPG engine Spare parts catalog. Service (workshop) Manual. Electrical and Hydraulic Schematic. Operation and maintenance manual. 2212233 GC20E-3 Daewoo GC20E-3 forklift with LPG engine Spare parts catalog. Service (workshop) Manual. Electrical and Hydraulic Schematic. Operation and maintenance manual. 2212234 GC20E-5 Daewoo GC20E-5 forklift with LPG engine Spare parts catalog. Service (workshop) Manual. Electrical and Hydraulic Schematic. Operation and maintenance manual. 2212235 GC20P-3 Daewoo GC20P-3 forklift with LPG engine Spare parts catalog. Service (workshop) Manual. Electrical and Hydraulic Schematic. Operation and maintenance manual. 2212236 GC20P-5 Daewoo GC20P-5 forklift with LPG engine Spare parts catalog. Service (workshop) Manual. Electrical and Hydraulic Schematic. Operation and maintenance manual. 2212237 GC20S-2 Daewoo GC20S-2 forklift with LPG engine Spare parts catalog. Service (workshop) Manual. Electrical and Hydraulic Schematic. Operation and maintenance manual. 2212238 GC20S-3 Daewoo GC20S-3 forklift with LPG engine Spare parts catalog. Service (workshop) Manual. Electrical and Hydraulic Schematic. Operation and maintenance manual. 2212239 GC20SC-2 Daewoo GC20SC-2 forklift with LPG engine Spare parts catalog. Service (workshop) Manual. Electrical and Hydraulic Schematic. Operation and maintenance manual. 2212240 GC20SC-5 Daewoo GC20SC-5 forklift with LPG engine Spare parts catalog. Service (workshop) Manual. Electrical and Hydraulic Schematic. Operation and maintenance manual. 2212241 GC25-2 Daewoo GC25-2 forklift with LPG engine Spare parts catalog. Service (workshop) Manual. Electrical and Hydraulic Schematic. Operation and maintenance manual. 2212242 GC25E-3 Daewoo GC25E-3 forklift with LPG engine Spare parts catalog. Service (workshop) Manual. Electrical and Hydraulic Schematic. Operation and maintenance manual. 2212243 GC25E-5 Daewoo GC25E-5 forklift with LPG engine Spare parts catalog. Service (workshop) Manual. Electrical and Hydraulic Schematic. Operation and maintenance manual. 2212244 GC25P-3 Daewoo GC25P-3 forklift with LPG engine Spare parts catalog. Service (workshop) Manual. Electrical and Hydraulic Schematic. Operation and maintenance manual. 2212245 GC25P-5 Daewoo GC25P-5 forklift with LPG engine Spare parts catalog. Service (workshop) Manual. Electrical and Hydraulic Schematic. Operation and maintenance manual. 2212246 GC25S-2 Daewoo GC25S-2 forklift with LPG engine Spare parts catalog. Service (workshop) Manual. Electrical and Hydraulic Schematic. Operation and maintenance manual. 2212247 GC25S-3 Daewoo GC25S-3 forklift with LPG engine Spare parts catalog. Service (workshop) Manual. Electrical and Hydraulic Schematic. Operation and maintenance manual. 2212248 GC30E-3 Daewoo GC30E-3 forklift with LPG engine Spare parts catalog. Service (workshop) Manual. Electrical and Hydraulic Schematic. Operation and maintenance manual. 2212249 GC30E-5 Daewoo GC30E-5 forklift with LPG engine Spare parts catalog. Service (workshop) Manual. Electrical and Hydraulic Schematic. Operation and maintenance manual. 2212250 GC30P-3 Daewoo GC30P-3 forklift with LPG engine Spare parts catalog. Service (workshop) Manual. Electrical and Hydraulic Schematic. Operation and maintenance manual. 2212251 GC30P-5 Daewoo GC30P-5 forklift with LPG engine Spare parts catalog. Service (workshop) Manual. Electrical and Hydraulic Schematic. Operation and maintenance manual. 2212252 GC30S-2 Daewoo GC30S-2 forklift with LPG engine Spare parts catalog. Service (workshop) Manual. Electrical and Hydraulic Schematic. Operation and maintenance manual. 2212253 GC30S-3 Daewoo GC30S-3 forklift with LPG engine Spare parts catalog. Service (workshop) Manual. Electrical and Hydraulic Schematic. Operation and maintenance manual. 2212254 GC32E-3 Daewoo GC32E-3 forklift with LPG engine Spare parts catalog. Service (workshop) Manual. Electrical and Hydraulic Schematic. Operation and maintenance manual. 2212255 GC32P-3 Daewoo GC32P-3 forklift with LPG engine Spare parts catalog. Service (workshop) Manual. Electrical and Hydraulic Schematic. Operation and maintenance manual. 2212256 GC33E-5 Daewoo GC33E-5 forklift with LPG engine Spare parts catalog. Service (workshop) Manual. Electrical and Hydraulic Schematic. Operation and maintenance manual. 2212257 GC33P-5 Daewoo GC33P-5 forklift with LPG engine Spare parts catalog. Service (workshop) Manual. Electrical and Hydraulic Schematic. Operation and maintenance manual. 2212301 G35C-5 Daewoo G35C-5 forklift with LPG engine Spare parts catalog. Service (workshop) Manual. Electrical and Hydraulic Schematic. Operation and maintenance manual. 2212302 G35S Daewoo G35S forklift with LPG engine Spare parts catalog. Service (workshop) Manual. Electrical and Hydraulic Schematic. Operation and maintenance manual. 2212303 G35S-2 Daewoo G35S-2 forklift with LPG engine Spare parts catalog. Service (workshop) Manual. Electrical and Hydraulic Schematic. Operation and maintenance manual. 2212304 G35S-5 Daewoo G35S-5 forklift with LPG engine Spare parts catalog. Service (workshop) Manual. Electrical and Hydraulic Schematic. Operation and maintenance manual. 2212305 G40S-2 Daewoo G40S-2 forklift with LPG engine Spare parts catalog. Service (workshop) Manual. Electrical and Hydraulic Schematic. Operation and maintenance manual. 2212306 G40S-5 Daewoo G40S-5 forklift with LPG engine Spare parts catalog. Service (workshop) Manual. Electrical and Hydraulic Schematic. Operation and maintenance manual. 2212307 G40S-5 Daewoo G40S-5 forklift with LPG engine Spare parts catalog. Service (workshop) Manual. Electrical and Hydraulic Schematic. Operation and maintenance manual. 2212308 G40S-5 Daewoo G40S-5 forklift with LPG engine Spare parts catalog. Service (workshop) Manual. Electrical and Hydraulic Schematic. Operation and maintenance manual. 2212309 G40SC-2 Daewoo G40SC-2 forklift with LPG engine Spare parts catalog. Service (workshop) Manual. Electrical and Hydraulic Schematic. Operation and maintenance manual. 2212310 G40SC-5 Daewoo G40SC-5 forklift with LPG engine Spare parts catalog. Service (workshop) Manual. Electrical and Hydraulic Schematic. Operation and maintenance manual. 2212311 G45S-2 Daewoo G45S-2 forklift with LPG engine Spare parts catalog. Service (workshop) Manual. Electrical and Hydraulic Schematic. Operation and maintenance manual. 2212312 G45S-5 Daewoo G45S-5 forklift with LPG engine Spare parts catalog. Service (workshop) Manual. Electrical and Hydraulic Schematic. Operation and maintenance manual. 2212313 G45SC-2 Daewoo G45SC-2 forklift with LPG engine Spare parts catalog. Service (workshop) Manual. Electrical and Hydraulic Schematic. Operation and maintenance manual. 2212314 G45SC-5 Daewoo G45SC-5 forklift with LPG engine Spare parts catalog. Service (workshop) Manual. Electrical and Hydraulic Schematic. Operation and maintenance manual. 2212315 GC35S-5 Daewoo GC35S-5 forklift with LPG engine Spare parts catalog. Service (workshop) Manual. Electrical and Hydraulic Schematic. Operation and maintenance manual. 2212316 GC40S-5 Daewoo GC40S-5 forklift with LPG engine Spare parts catalog. Service (workshop) Manual. Electrical and Hydraulic Schematic. Operation and maintenance manual. 2212317 GC45S-5 Daewoo GC45S-5 forklift with LPG engine Spare parts catalog. Service (workshop) Manual. Electrical and Hydraulic Schematic. Operation and maintenance manual. 2212401 G50C-5 Daewoo G50C-5 forklift with LPG engine Spare parts catalog. Service (workshop) Manual. Electrical and Hydraulic Schematic. Operation and maintenance manual. 2212402 G50S-2 Daewoo G50S-2 forklift with LPG engine Spare parts catalog. Service (workshop) Manual. Electrical and Hydraulic Schematic. Operation and maintenance manual. 2212403 G50S-5 Daewoo G50S-5 forklift with LPG engine Spare parts catalog. Service (workshop) Manual. Electrical and Hydraulic Schematic. Operation and maintenance manual. 2212404 G50SC-2 Daewoo G50SC-2 forklift with LPG engine Spare parts catalog. Service (workshop) Manual. Electrical and Hydraulic Schematic. Operation and maintenance manual. 2212405 G50SC-5 Daewoo G50SC-5 forklift with LPG engine Spare parts catalog. Service (workshop) Manual. Electrical and Hydraulic Schematic. Operation and maintenance manual. 2212406 G55C-5 Daewoo G55C-5 forklift with LPG engine Spare parts catalog. Service (workshop) Manual. Electrical and Hydraulic Schematic. Operation and maintenance manual. 2212407 G55SC-5 Daewoo G55SC-5 forklift with LPG engine Spare parts catalog. Service (workshop) Manual. Electrical and Hydraulic Schematic. Operation and maintenance manual. 2212408 GC50C-5 Daewoo GC50C-5 forklift with LPG engine Spare parts catalog. Service (workshop) Manual. Electrical and Hydraulic Schematic. Operation and maintenance manual. 2212409 GC50SC-5 Daewoo GC50SC-5 forklift with LPG engine Spare parts catalog. Service (workshop) Manual. Electrical and Hydraulic Schematic. Operation and maintenance manual. 2212410 GC55C-5 Daewoo GC55C-5 forklift with LPG engine Spare parts catalog. Service (workshop) Manual. Electrical and Hydraulic Schematic. Operation and maintenance manual. 2212411 GC55SC-5 Daewoo GC55SC-5 forklift with LPG engine Spare parts catalog. Service (workshop) Manual. Electrical and Hydraulic Schematic. Operation and maintenance manual. 2212412 G60S-2 Daewoo G60S-2 forklift with LPG engine Spare parts catalog. Service (workshop) Manual. Electrical and Hydraulic Schematic. Operation and maintenance manual. 2212413 G60S-5 Daewoo G60S-5 forklift with LPG engine Spare parts catalog. Service (workshop) Manual. Electrical and Hydraulic Schematic. Operation and maintenance manual. 2212414 G70S-2 Daewoo G70S-2 forklift with LPG engine Spare parts catalog. Service (workshop) Manual. Electrical and Hydraulic Schematic. Operation and maintenance manual. 2212415 G70S-5 Daewoo G70S-5 forklift with LPG engine Spare parts catalog. Service (workshop) Manual. Electrical and Hydraulic Schematic. Operation and maintenance manual.